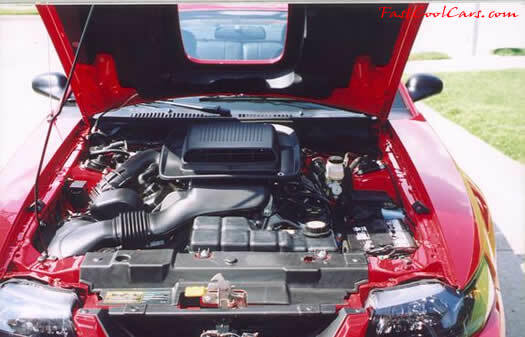 2003 Ford Mustang Mach 1 - Nickname: The Red Car. 347 HP. 12.97 @ 106 MPH in the quarter. 0 - 60 4.7's. MSD ignition, K&N intake, Ford racing performance headers and transmission.